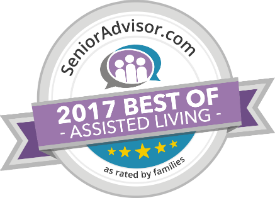 Laura has worked in the field of senior living since the age of 14 when she began washing dishes at her family’s nursing home. Growing up around seniors led Laura to a career in Health Care Administration including Skilled Nursing, Memory Care, Home Health Care and Assisted Living. Laura was hired by Magnolia Springs to assist in opening the Bridgewater location. She has been in the role of Executive Director since July, 2013. Sallie started her career in the field of senior living as a Certified Nursing Assistant as a teenager. Since this time Sallie’s career has spanned a variety of senior housing options including Retirement Homes, Assisted Living, Memory Care and Skilled Nursing Homes. Following graduation from nursing school Sallie worked as a Staff Nurse then Charge Nurse, and for the last 14,years Sallie has led the nursing and memory care departments of assisted living communities in Indianapolis, Muncie and Anderson. Sallie has served in her position at Magnolia Springs Bridgewater since September, 2013. Andrea started her career in long term care after taking a part-time job in an assisted living community working in their dining room. She Immediately fell in love with the residents and allowed her heart to lead her career from there. She acquired her CNA certification in 2010 starting in a memory care, realizing dementia care is what she liked best. Perusing better ways to enrich their lives, she worked as an Activity Director, and Memory Care Director in communities in Hamilton County. Additional certifications include Activity Director Certification, Social Service Designee, and most notably, Certified Dementia Practitioner. Her passion is helping those living with dementia find joy and purpose in their and their families journey. After a brief stint in sales, Kevin was the Quality Assurance Manager for Borders Group Distribution before enrolling in culinary school in Keystone, CO. There, he apprenticed for Vail Resorts and in 2009, graduated with an Associate’s degree in Culinary Arts from Colorado Mountain College and the American Culinary Federation. Kevin was the Executive Chef at Ritz Charles in Carmel, IN until 2011. He left to get into healthcare and took a Sous Chef position at Marquette Manor Retirement Community. In 2012, Kevin accepted an offer to be the Executive Chef at St. Vincent Hospital. He ultimately missed the personal interaction with his residents and returned to senior living with Magnolia Springs! Valerie began her career in healthcare at the age of 19 as a part time Receptionist at an Assisted Living Community in Fishers, Indiana. Valerie transferred into the Activities Department, and also began job sharing with the Business Office Manager shortly thereafter. 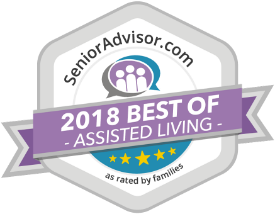 For the last seven years, Valerie has managed the Business Office of three assisted living communities, Brookdale at Willow Lake, Rittenhouse Senior Living and Magnolia Springs Bridgewater. Kristin has worked with children throughout her life including facilitating day camps in high school and college, teaching a class to Girl Scouts so they could receive their Fine Arts patch, and as a camp counselor for kids ages 5-18 at an international summer camp. She also spent two years in Los Angeles as a working actor before moving back to Indianapolis. Kristin has been with Magnolia Springs at Bridgewater since it’s opening in August 2014 starting as an Activity Assistant and then assuming the role of Director of Life Enrichment in 2015. She is excited for the opportunity to continue to grow with the company and looks forward to focusing her creative energy to better serve the community. Ellen has enjoyed a long career in the arena of healthcare sales, marketing and operations. Her career in senior living blossomed over five years ago; driven by the desire to make a difference in the lives of seniors and their families. Ellen has served as the regional director of sales and as an executive director for two of the largest senior living providers in the country. Along the way, she discovered helping families directly is where her passion lies. The positive culture and commitment to our residents makes Magnolia Springs where she wants to be. Doing the right thing and helping to guide families through this important decision- making process is her goal. She truly believes in the “Magnolia Way”. When not at work, Ellen writes for a vintage lifestyle blog, she also enjoys spending time with family and reading. Eric began his career managing a finance company for 7 years before pursuing his passion of home improvement. He started his own handyman business before being introduced to the healthcare field in 2012. He started his healthcare career as a Maintenance Assistant for an assisted living community in Indianapolis where he quickly became the Director of Plant Operations. In 2017 he became the Director of Plant Operations for a skilled nursing community in Indianapolis. He joined the Magnolia Springs family in December of 2018.